Melissa Rayburn has studied and practiced therapeutic techniques for over 10 years, helping heal people of all ages and conditions. She uses a variety of advanced but natural therapies to improve each person's health and well-being. Melissa received her training in massage therapy from the C.A. Massage School and Clinic. She says of the career choice, "It chose ME... this career lets me blend everything I do and bridge the gap between medical and spiritual healing." She is a certified lymphatic drainage therapist (through The Upledger Institute), registered massage therapist, and board-certified music therapist. She has also trained in neuromuscular therapy, craniosacral therapy, myofascial release, reflexology, and reiki. 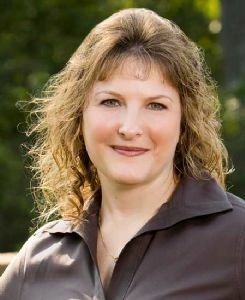 Melissa earned her bachelor's degree in music therapy from Sam Houston State University in 1993. She is a board-certified music therapist (MT-BC) and practiced music therapy for six years in settings such as hospitals and nursing homes, and privately with special needs children.